Kit Harington, aged 32 years old. The actor weighs 77 kg (170 pounds) and has a height of 5’8” (173 cm). His workout includes full-body workout and yoga, which helps him maintain a 43-15-32 fit body. 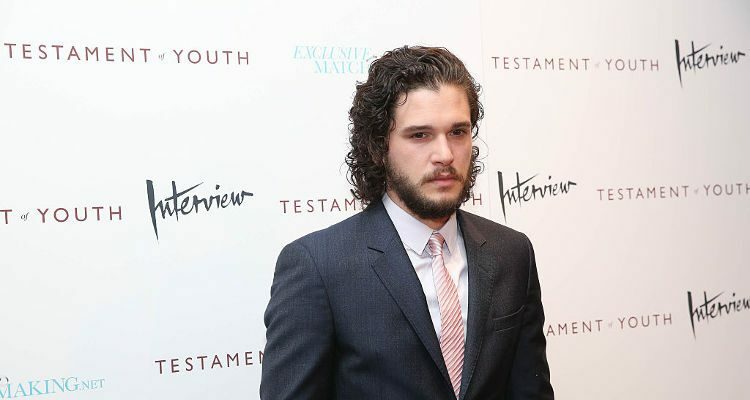 Kit Harington has prepared really hard for his role as Jon Snow, putting on loads of weight with the high-calorie diet. He’ll be seen reprising his role in 2019 final season of Game of Thrones. Best Known For: Playing the role of Jon Snow in the TV series Game of Thrones. Jon Snow is one of the main protagonists in this TV series. In order to gain muscle mass, Harington has to eat a lot on a high-calorie diet – for his role in Pompeii, he consumed 5,000 calories a day! – but also ensure that he is sticking to the good stuff like rice, sweet potatoes, and lots of chicken. As for his workouts, Harington paired weight training strength moves with mobility exercises in order to achieve a full-body workout. It was also important to treat his body right with physiotherapy, massages, and yoga. Kit Harington’s gym workout for Pompeii and Game of Thrones is slightly different. For Game of Thrones, Harington’s trainer Dalton Wong focused on compound exercises that mimic on-set moves. Basically, Harington did lots of full-body movement exercises instead of isolation exercises. Cable routines allowed his body to achieve a fuller range of movement because the goal is to get a sword around his head. Harington also concentrated on strength-training exercises that tone his glutes, leg, and back muscles. Harington did 45 minutes to an hour of pull movements, upper-body push movements, deadlifts, and lateral lunges. Harington’s go-to warm-ups include knee hugs, thread the needle, and lunge stretches. His Game of Thrones workout included pendulum lunges, weighted push-ups rows, lateral dumbbell lunges, and kneeling curl and presses. Two months prior to Game of Thrones’ third season, Harington badly injured his ankle. As a result, Wong concentrated on increasing Harington’s range; if the actor hurt his ankle on a squat, he wouldn’t go so deep. Kit Harington’s Pompeii trainer Nuno De Salles says the actor was actually in pretty bad shape before he prepared for the role of Milo. De Salles says Harington sometimes hit the gym a little too hard; he even had to slow him down. He trained during 60-minute sessions, for six days weekly.